NOTE: EDITING AFTER I WRITE AND PROOF READ IS HAPPENING, CAUSING THE TEXT TO BE FORMATTED AS THE I THEM SEE IT ON THIS WORDPRESS APPLICATION. Halleluyah, Todah Rabbah, YHWH’s downpour is great. To my best ability, I am sharing many messages that YHWH is sending at this time. Ruach has been sending messages regarding previous Torah portions and lessons. YHWH is not the author of confusion. Since late February, my fast and prayers have been very revealing. In my dreams, more clarity has come forward. English western, venacular and mind “ain’t gonna get it”. In ruach of YHWH ALMIGHTY, the message is received. I ask Ruach Kadesh to guide and protect wisdom, clarity, righteous, beauty, good, knowledge, truth and humility of INI, YHWH’S people, and this message as it comes forth, that YHWH get the glory, honor and praise! I received several dreams and messages. I ask Ruach Kadesh to guide, and affirm the messages are from YHWH. Some of the images I saw, I know not to discuss. The ones that are presented in this article are to help, clarify and shine light. many who came before who turned away from YHWH because they did not receive or accept HaEmet /TRUTH of YHWH’S word. They may have insperienced and or experience that caused and or resulted in struggle. Hadassah, was prepared for such a time as this. Many who experience YHWH’S anger and wrath, turned away, went away, and were headed to Haman’s guillotine. Family, ones who return, the remnant, know YHWH from insperiences and experience. YHWH’S Ruach is compassionate and fierce. When INI are blessed in YHWH’S compassion, when all is well, do INI, praise and worship of, in, to and with YHWH change? For ones who say no, why then is there the First Commandment? YHWH establishes COMMAND. YHWH IS A JEALOUS RUACH. INI, we, YHWH’S people shall have no other g d before YHWH. Several years ago, I was talking with a woman who by all appearances was a daughter of Heth. She was black in skin color, loud, smacked her teeth when she talked, as she asked me what herbs to take for her high blood pressure. I offered to her a holistic organic approach to healing. YAHOSHUA, YHWH, THE BIBLE, THE COMMANDMENTS. The moment I said YHWH, she jumped bold, shaking her weaved head, telling me, she did not want to hear about no YHWH. I asked her if she accepted THE TEN COMMANDMENTS. She said she learned about “that” when she was in the church. Clearly church programming has impacted so many. Unless YHWH appears and or sends Yahoshua, what is life and or love? I stated to her that the First Commandment of YHWH is not to have any other g d before YHWH. I walked quickly away from that Jezebel. She had no fear of nor respect for YHWH. I went to YHWH crying. I cried because of the level of disrespect that was shown against YHWH. I cried because I wanted YHWH to know that, although I was in a place where it was YHWH’S will for me to be at that time, I was not a HITTITE, CANAANITE, nor any of the other nations in whose midst I was. YHWH is compassionate, kind, slow to anger, and forgiving towards called, chosen and accepted ones who accept YHWH AND YHWH’S WAY, TRUTH, LIFE AND LOVE. YHWH’S Ruach is fierce when and if YHWH’S RUACH IS FORSAKEN, DISRESPECTED AND OR FORGOTTEN. I can only imagine where that woman is today. Her blood pressure was because of her grievances and trespasses against YHWH. Read Ezekiel 14:13. YHWH sent pestilence into her land and poured out fury upon it in the blood. Ezekiel 14:19. YHWH has given me knowledge of prayers and holistic, organic herbs to heal high blood pressure. I am not a licenced medical doctor. I study YHWH’S word, and listen for the Ruach Kadesh. Dr. Sebi, who was murdered several years ago was a messenger who was given knowledge of healing from the Almighty. Study his life and work to know why he waa murdered. Cipher and see all the Drs. and healers coming out the woodwork as “healers and treaters” of conditions Dr. Sebi documented that he healed. I have suffered afflictions, as a result, I studied, study, apply and continue holistic, organic health and wellness. What I would have shared with an unbelieving Jezebel , YHWH shut my mouth not to speak to her and allowed me to see how much she hated the GIVER OF LIFE. I wiped the dust off my feet and kept it moving. I did not share that knowledge with her. I freely would have. However that would have been the equivalent of giving pearls to swine. I share the knowledge in this article, family that whosoever is blessed by it, MUST GIVE YHWH THE GLORY, HONOR AND PRAISE! SO BE IT! 2. Repent, self correct all disrespect, grievances, errors and trespasses against YHWH. 3. Accept and get to know YAHOSHUA LORD, SAVIOR, AND REDEEMER. ACCEPT ABBA FATHER, RUACH KADESH, IGZI ABHER. YHWH IS RUACH KADESH. YHWH’S FIERCENESS IS KADOSH. Ones may argue that YHWH is love and YHWH LOVES EVERYBODY. THAT ARGUMENT IS NOT SCRIPTURAL NOR TRUE. YHWH in my dream to I, showed images of a blue butterfly, light and lighthouse. I meditated and researched interpretation of what I saw in my dreams. Interpretation is confirmed in the Metaphysical Bible Dictionary. Link to the Metaphysical Bible Dictionary at LOJ SOCIETY. It is a free download PDF. 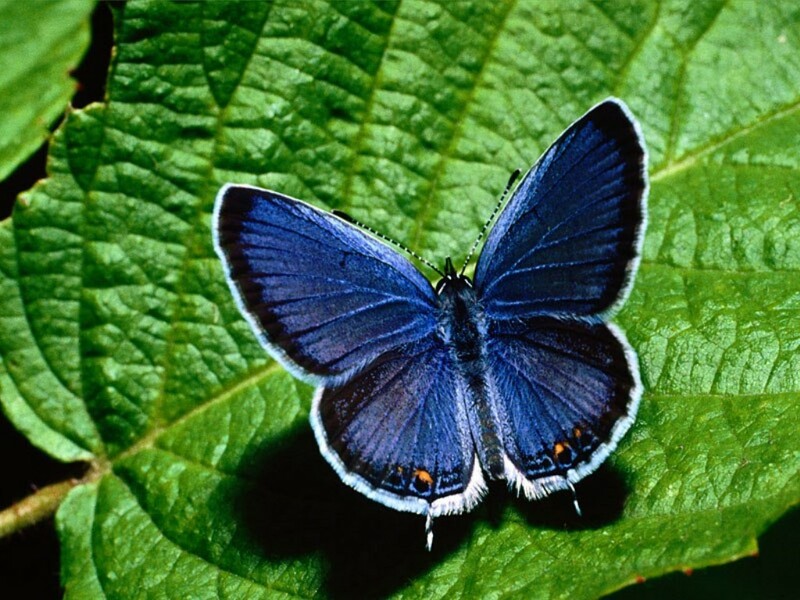 Blue butterfly, lifted up in consciousness in YHWH-Resurrected as one who has discovered the Truth of Being. Is be raised, lifted up in consciousness, resurrected daily out of old, subconscious, negative thought condition. Is be lifted into the one righteous, good, true, positive Reality in YHWH’S marvelous light. Light is the understanding principle in mind. Abba Father, sent Yahoshua Ben YHWH to save YHWH’S people. Yahoshua Ben YHWH, IS THE WAY, TRUTH AND LIGHT. NO MAN KNOWS THE FATHER, SAVE THE SON, Ruach Kadesh, YHWH’S People is ONE. All things are delivered to me of my Father: and no man knows the Son, but the Father; neither knoweth any man the Father, save the Son, and he to whomsoever the Son will reveal him. In divine order it (Who and what is revealed or covered) always comes first into consciousness. Yahoshua Ben YHWH, my first love, Abba Father YHWH sent Yahoshua to save me, INI, we, YHWH’S people. YHWH has many names and manifest in all the names in Ruach, Truth and Reality to ones who receive, accept and embrace YHWH, יהוה, Igizi Abher. In the passage of time, and experience, Yahoshua instruct: LOVE Abba Father, with all INI heart, soul and might and love one another. Light is a symbol of wisdom. When Yahoshua said, “I am the light of the world” (John 8:12), He intends that He was, is and will be the expresser of HaEmet, THE TRUTH, in wisdom, in all its aspects. Light, inner light, light house, is the illumination of Ruach Ha Chodesh, resident in the center of every man’s being. In my dream I saw a blue butterfly and a lighthouse. YHWH’S INNER MESSAGING SYSTEM IS THE MOST HOLY, SACRED COMMUNICATION, COMMON UNITY! YHWH’S MESSAGING SYSTEM POSES AND ANSWERS QUESTIONS. YHWH ACTS WITH FORETHOUGHT OF ALL THINGS, MATTERS AND SITUATIONS. For every great and good man of YHWH, YHWH provided, provides and will provide a great and good wombman. Before, during and after every relationship there was and is some type of struggle. This has been a truth from the beginning. Struggle may be seen as good or evil. Struggle may be in ruach and our reality. One’s struggle may be internal or external. One’s struggle may be insperiences or experiences. Inside the cocoon, there is STRUGGLE to become a butterfly. Balance when and how to STRUGGLE against oppressors and when and how to let go, hear YHWH, obey YHWH, and let YHWH are historical and cultural practices to INI individual and collective identity as YHWH’S people. Abraham instructed Sarah to say she was his sister because she was fair to look upon. Abraham, for fear of harm against himself gave instruction to Sarah, which caused a STRUGGLE. Sarah later bare a son to Abraham when she was old. And Sarah my master’s wife bare a son to my master when she was old:and to him has he given all that he has. The blessing of Yscok came after STRUGGLE and much time. Yscock intreated YHWH Almighty for his isha, Rebekah because she was barren. And Yscok intreated YHWH ALMIGHTY for his isha, because she was barren: and YHWH ALMIGHTY was intreated of him, and Rebekah his isha conceived. Yscok’s servants digged wells and STRIVE with Philistines, herdmen of Gerar. It was not until he moved to and dug another well for which they did not STRUGGLE, he called it Rehoboth. He said For now YHWH ALMIGHTY hath made room for INI, and we shall be fruitful in the land. And YHWH ALMIGHTY appeared to him the same night, and said, I am the G d of Abraham thy father: fear not, for I am with thee, and will bless thee, and multiply thy seed for my servant Abraham’s sake. Rebekah inquired of YHWH why there was great STRUGGLE within her womb, after she conceived. Esau and Yaacob STRUGGLED within her womb and in the world. Yscok and Rebekah were grieved of mind because of their son Esau, who married Hitties. FROM THE RIGHTEOUS GOOD ONE VIRTUOUS WOMBMAN OF YHWH ARE MANY. YHWH’S Virtuous wombman INI spiritual, cultural way of life is not like any family, tribe, community, nation of women of the world. Sarah was called, chosen and accepted as Abrahams isha. Yaacob, supplanter, was born to his mother who loved, loves and will love him. The word identifies Yaacob as Rebekah’s son, not Yscok’s son. Both Esau and Yaacob were in the same womb. Esau and Yaacob STRUGGLED IN Rebekah’s womb. Yaacob’s mother, helped him to receive blessings. The STRUGGLE between Esau and Yaacob continues till this day. Yaacob married two sister wombman of his wicked uncle Laban. He worked fourteen years for Laban. Seven years, he worked for Leah, whom he was”tricked” into marrying, and whom he did not love. Seven years he worked for Rachel, beautiful and well favored, whom he loved. Laban gave both sisters and their handmaidens to Yaacob. YHWH closed Rachel’s womb and opened Leah’s. Rachel proclaimed to Yaacob to give her children unless she die. MARRIAGE AND GIVING BIRTH IS A GIFT, GIVEN AND CONTROLLED BY YHWH. An unmarried woman with no children in INI nation experiences reproach. That is why YHWH remembered Rachel and took away her reproach. Rachel had two sons, Yosef and Benjamin. Yaacob went into each of his isha wombman’s handmaidens and brought life forward. Yaacob’s name was changed to Israel because he STRUGGLED with a malakim. Before, during and after the STRUGGLE YHWH blessed him. After the STRUGGLE, the malakim changed Yaacob’s name to Israel. In Israel’s latter days, Israel blessed the lads of Yosef. He set Ephraim before Manasseh. Righteous, virtuous good wombman, nourish and comfort, teach and guide. Keep and do YHWH’S COMMANDS. YHWH knows who will keep YHWH’S laws and commands. YHWH does “it” by night. YHWH’S blessings are upon YHWH’S people. Upright, Respectful, (Lion in the street, Lamb at home) Good men and leaders, are blessed with Upright, Respectful, Humble, Virtuous Wombman. YHWH ALMIGHTY get the glory, honor and praise!